I note that you can sell only your own-copyrighted material here, like your program or excel sheet or your learning. tag or use $ button in editor. payment=1 means this file need 1 USD money. * our currency is USD, at now 1 USD is equal to 100,000 IRR. 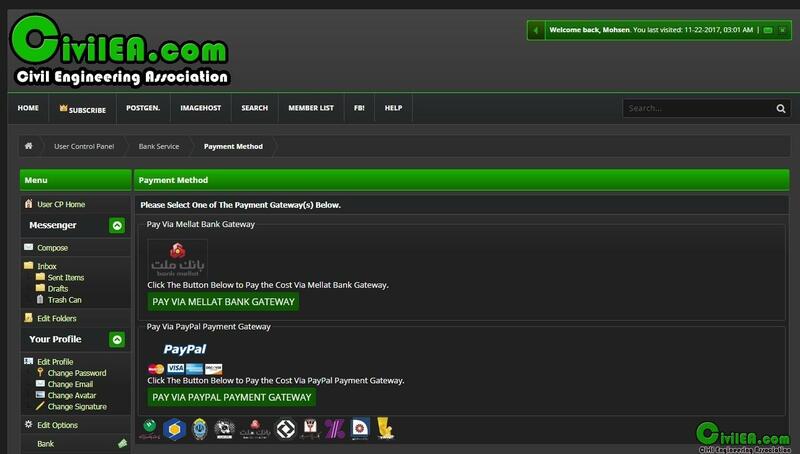 * You can add money with Paypal or Mellat Bank Gateway (For Iranian Users only). #1: You can sell only your material that produce by you, you can not sell crack, books, software that they are not belong to you. 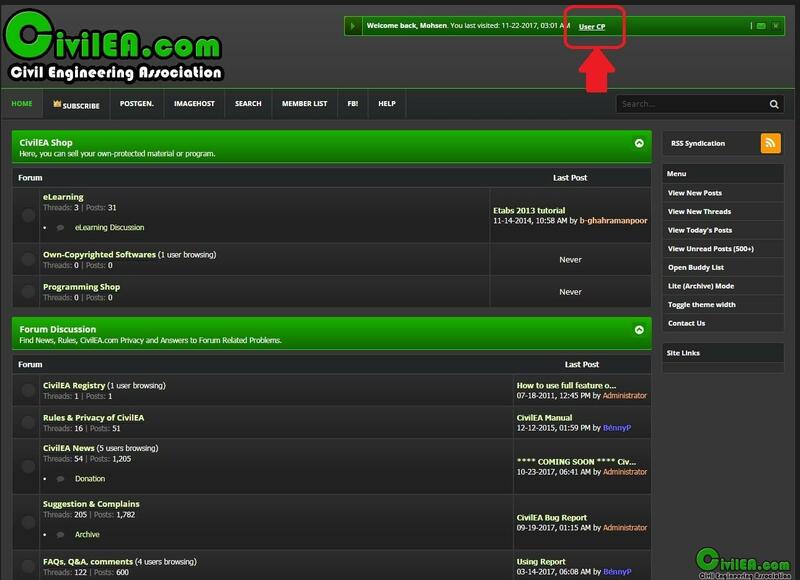 #2: If you sell other material you will be ban from forum and all your credit will be freeze here. #4: Paypal (World users) and SHETAB (iranian users) are only accepted gateways. we can not accept other gateways. all send or received money will be received/sent by Paypal and SHETAB only. #5: our currency is "USD", conversion rate to IRR may be changed. #6: All payments are included fee rate 5%, it means that for buying credit 100$ you will pay 105$. #7: Percent of Credit That Will Be Deducted from Settlement Amount is 50%, it means CivilEA commission is 50%. #9: you can request to withdraw your bank (only money earned from your material not by code or ...) to your PAYPAL or SHETAB CARD (Iranian Users only) we can not send it to any other gateway.